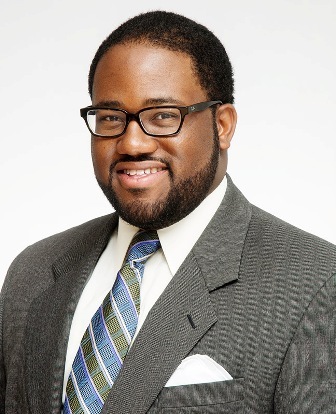 Written by Danny J. Bakewell Sr.
By Danny J. Bakewell Sr.
Former Assemblyman Sebastian Ridley-Thomas is not sitting back and accepting USC’s dismissal as a graduate student or as a professor of practice. The former Assembly­member hired the law firm of Olson, Hagel and Fishburn and has filed grievances on both issues as outlined in section 7-1 (b) of the USC faculty handbook. The LA Sentinel has learned that Sebastian’s legal team has filed two separate informal grievances. One regarding his status as a student and one regarding his status as a professor. As both letters state, they are disputing his “abrupt, unjust and unilateral” dismissals. This is the opening shot and the first step toward filing formal grievances as well potential litigation. In December of 2017 Sebastian applied to the Masters Program in Social Work at USC. On January 8, 2018 he received an email from USC stating that he had been accepted into the program and on January 9, 2018 he received another email stating that he had received a full scholarship for the program. The only conditions of the scholarship award were that he maintain a 3.0 GPA and that he maintain continuous enrollment on his specified track and/or enrollment plan. Sebastian accepted these terms and began taking courses at USC. On July 18, 2018 he was notified that his scholarship had been rescinded because his scholarship award was against “university’s policies.” This was never explained to Sebastian and was never a condition for his acceptance into the masters program. Sebastian Ridley-Thomas complied with both of the conditions of his scholarship award. Sebastian Ridley-Thomas was accepted as a student at USC in January of 2018 and on March 10, 2018 (thre months later) he was offered a non-tenured 50 percent professorship at USC. There was no mention of his scholarship or his status as a student. The professorship was approved by the Provost Office and the July 18 letter does not provide any information on why USC suddenly determined several months later that a violation of section 3-J had allegedly occurred. Now USC and Sebastian are at odds. 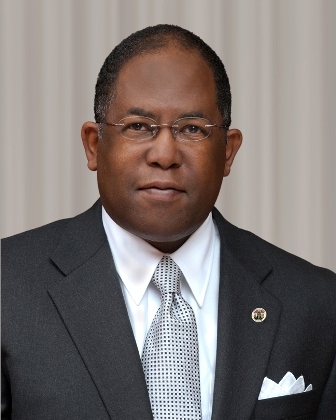 The university is also alleging that a donation by Supervisor Mark Ridley-Thomas was some how inappropriate and tied to Sebastian’s acceptance into the masters program and/or professorship and has asked the U.S. Attorney to investigate the donations and relation between USC, the supervisor and the former assemblymember. Sebastian Ridley-Thomas' attorney, Lance Olson, released a statement to the Los Angeles Times saying Sebastian’s USC admission was "based on his own merits" and went through "normal channels." As for Sebastian's faculty job, Olson said USC's offer letter stated his client was hired with the "enthusiastic recommendation of the faculty." USC’s campus sits in the heart of the supervisor’s District and USC is one of the largest employers within all of Los Angeles County. So a donation to the university does not appear on the surface as improper or irregular. Furthermore, USC has historically hired former and current politician’s as professors at the university. These elected officials include former Los Angeles Mayor Antonio Villaraigosa, former California Governor Arnold Schwarzenegger, Former Lieutenant Governor Mervyn Dymally and Ret. General David Petraeus just to name a few. Sebastian Ridley-Thomas was hired as a “professor of practice” this position is bestowed to instructors who may not have typical academic credentials but have “demonstrated excellence and effectiveness” professionally, according to the USC faculty handbook. USC who has been embroiled in controversy over the past several months and is the subject of numerous legal proceedings and lawsuits itself, has now asked the U.S. Attorney’s Office to conduct a criminal investigation linked to a recent $100,000 donation from a campaign fund controlled by the supervisor. Sebastian Ridley-Thomas, went to work for the university after resigning from the California Assembly in December, saying unspecified health problems left him no choice but to step down as he needed an extended period of time to recuperate. Following his resignation from the assembly, USC hired him as a professor of practice for social work and public policy. USC also gave Sebastian a scholarship to pursue a master's degree in social work, as was reported by the Los Angeles Times. After the internal probe, USC approached the U.S. Attorney's office in Los Angeles and told federal prosecutors they had concerns about a recent $100,000 donation from a campaign fund controlled by Mark Ridley-Thomas, The Times reported. A lawyer for Mark Ridley-Thomas told The Times the supervisor was "surprised to learn that his donation to USC has become an issue." "We do not believe that it raises any legal or ethical issues, and it had nothing to do with his son's scholarship or employment at the university," stated attorney Stephen Kaufman. Rick Caruso who was appointed chairman of the USC Board of Trustees (after reports came out about improper actions of a USC doctor and wide spread drug use by the medical schools dean which ultimately lead to the resignation of USC President C.L. “Max” Nikias), stated in press release by USC "I am disturbed and concerned by these allegations and people will be held accountable for their behavior, as appropriate. Where USC may have created even more issues regarding this case is that Sebastian Ridley-Thomas was a student at the school and his rights concerning his status as a student, his financial assistance from the university and even his employment status may have been protected. The Family Educational Rights and Privacy Act (FERPA) (20 U.S.C. § 1232g; 34 CFR Part 99) is a Federal law that protects the privacy of student education records. The law applies to all schools that receive funds under an applicable program of the U.S. Department of Education.